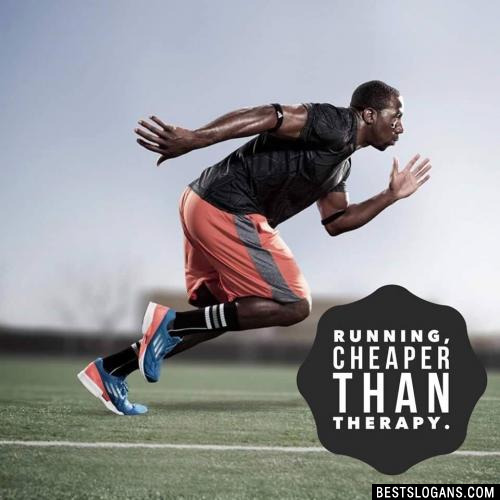 51 new entries added to running slogans, that include pictures. 1. If We Played Tag, You'd Be It Forever. Running burns calories, builds muscle, busts stress, and boosts your heart health. Here are some interesting facts about running that are sure to get you inspired to pull on your sneakers. 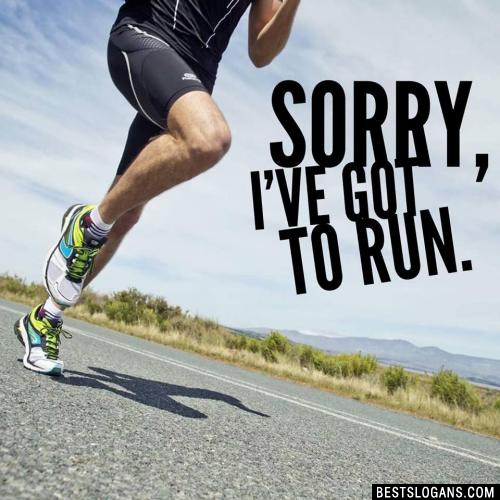 An average man has enough energy in his fat stores to run non-stop for 3 days at 24km per hour. Thats FAST considering about 10-12km per hour is the average pace general punters run at. Athletes dressed in red are more likely to win events than athletes wearing any other colour. 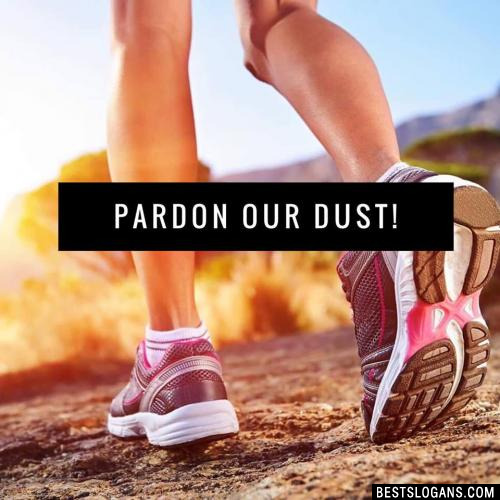 In the feet, 26 bones, 33 joints, 112 ligaments, and a network of nerves, tendons, and blood vessels have to work together when we run! Music can boost your running performance by up to 15%! 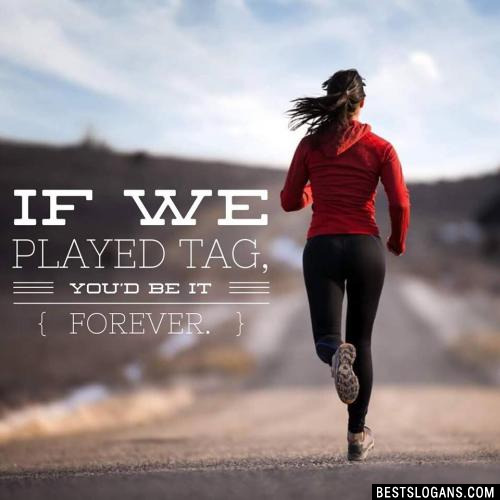 If We Played Tag, You'd Be It Forever. 3 Run to Live. Live to Run. 4 My Name Isn't Forrest. 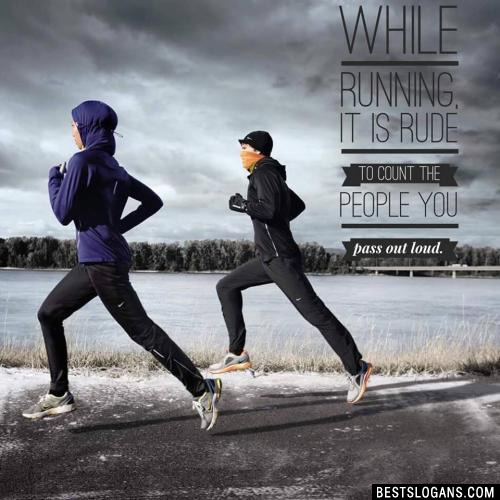 6 Running slow isn't a character flaw. Quitting is. 7 Running won't kill you, you'll pass out first. 9 Running is quality time with me. 10 Runners just do it. 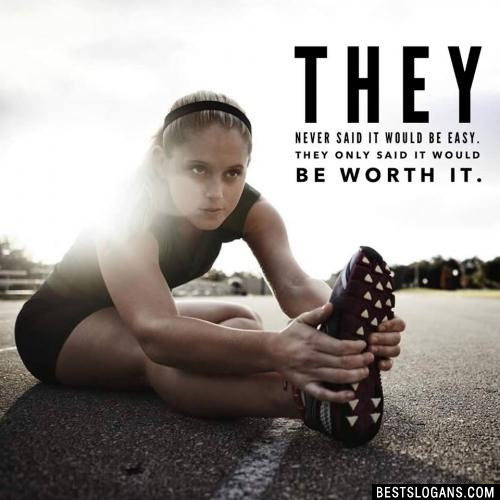 They run for the finish line even if someone else has reached it first. 11 If track was easy...they'd call it football. 13 Track: It's better than playing with balls. 14 Track: everything else is just a game. 16 Run like you stole something. 17 Run hard when it's hard to run. 19 Pain is weakness leaving the body. 20 No matter how slow you go, you are still lapping everybody on the couch. 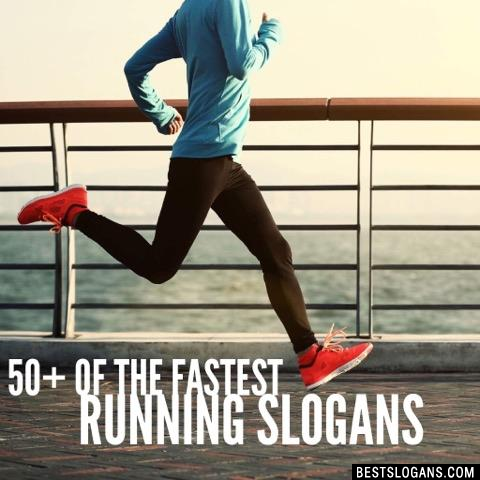 Can you think of a good Running Slogans we're missing? Or come up with a clever one of your own. Please share below.